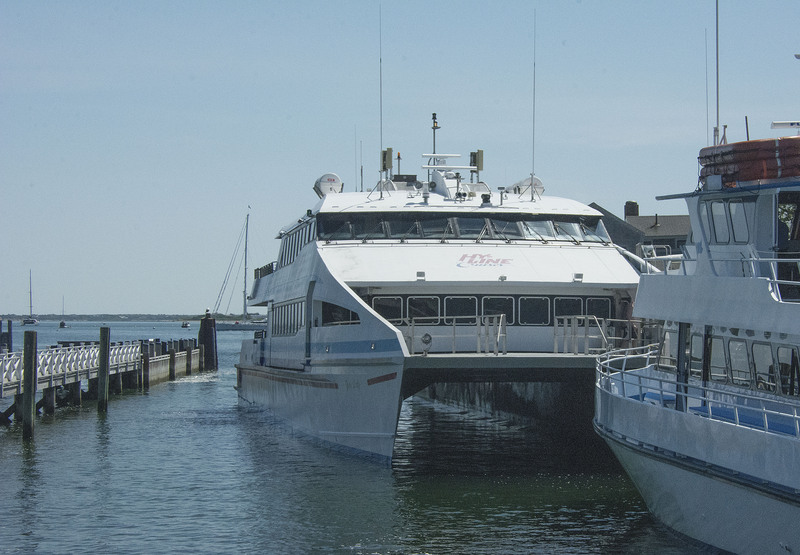 I mentioned yesterday that we would be visiting Nantucket today and that’s just what we did, by way of Hy-Line’s Fast Ferry, the ‘Lady Grey’ (Nantucket’s nickname is, “The Little Grey Lady of the Sea”, which refers to the island as it appears from the ocean when it is fog-bound.) I’m pleased to report that I wore Carol’s bracelet and was not troubled at all by the dreaded travel sickness so I think it’s safe to say that it’s a winner!! Sadly, just as we were about to board the ferry a poor young lady in front of us fainted!! Just like that, she went down just like a sack of spuds, smashed her face and knee on the concrete and she was out cold. Luckily there was a doctor and a paramedic waiting in the crowd to board the ferry too so they took care of her until an ambulance arrived, which I have to say was very quickly. It was rather a shocking start to the day and sadly for the poor young lady, she was taken off to the hospital and so didn’t make it to Nantucket today after all. On a lighter note, I’m sure her Mum will be pleased that she took her advice and was wearing nice underwear!! Oh my!! 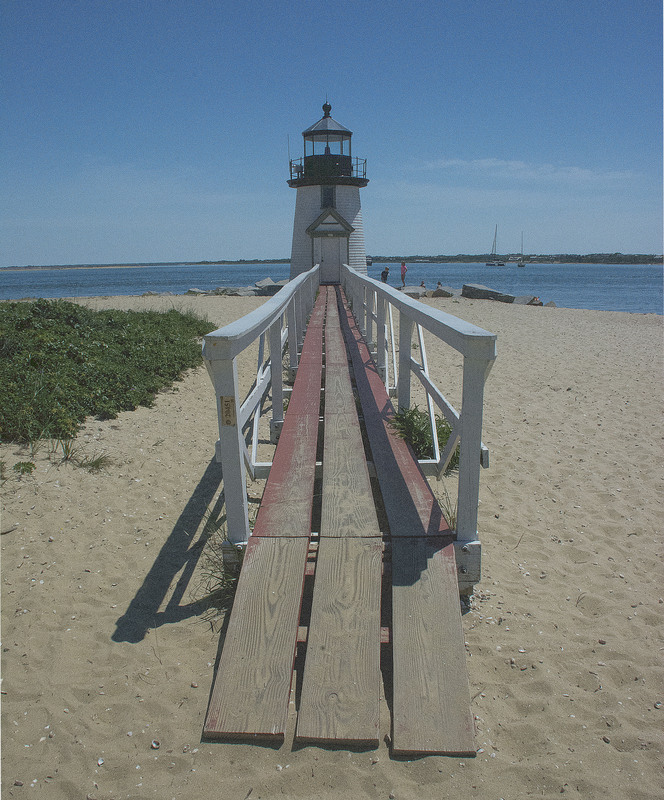 Nantucket is an island 30 miles (50 km) south of Cape Cod, in the state of Massachusetts. 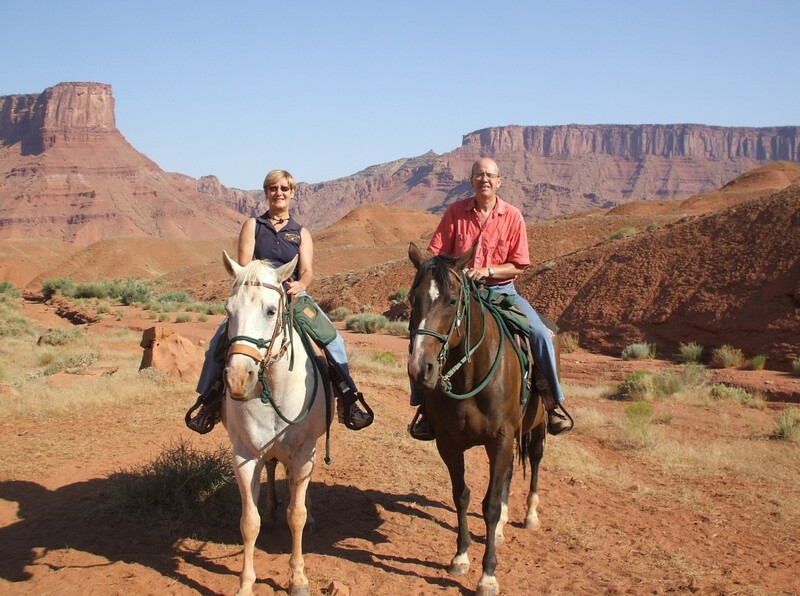 According to the 2010 census, the population at that time was 10,172. It is a tourist destination and summer colony and during the summer months, the population of the island increases to about 50,000, due to tourists and seasonal residents!! 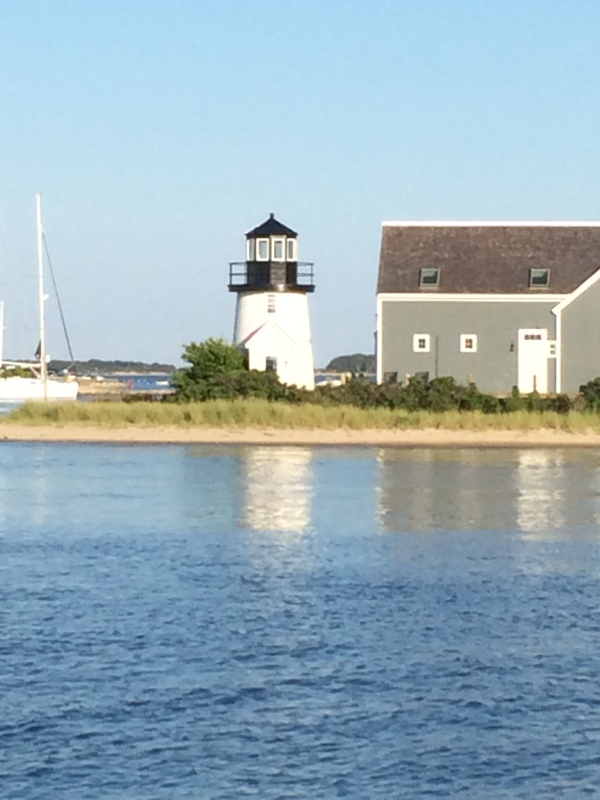 The houses on the island are wonderful and in 2008, Forbes magazine cited Nantucket as having home values among the highest in the US. Looking at some of the houses today you can understand why! 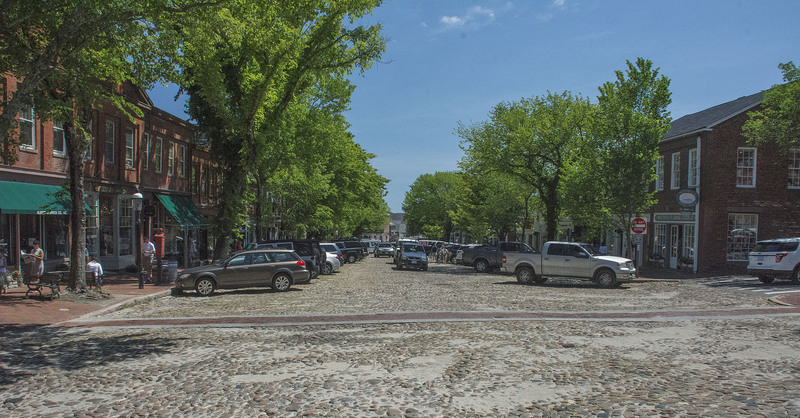 The National Park Service cites Nantucket, designated a National Historic Landmark District in 1966, as being the “finest surviving architectural and environmental example of a late 18th- and early 19th-century New England seaport town”. All the houses on the island have to be built from either brick or wooden shingles. Wooden shingles is definitely the favourite but the shingles usually have to be replaced about every 10 years. There are loads of little shops full of the kind of things that you ‘have to buy’ because you can’t possibly live without them!! We managed to find a few of those things today! The boats are magnificent too! Just wait until we win the £120 million on the Euro Lottery …………… chandlery here we come!!! 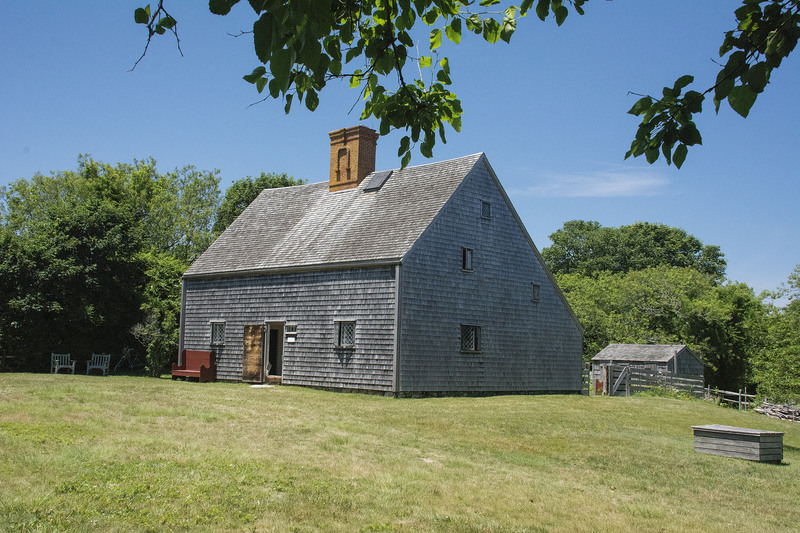 Nantucket is full of beautiful houses from the 18th and 19th Centuries but the oldest one on the island was built in 1686 and is the Jethro Coffin House. The house still stands today on the original foundations with the four fireplaces just as they were when it was built. There were various items that the lady of the house used for cooking and one we saw was a metal waffle press that had to be imported from Holland!! A waffle press from the 17th Century, I think we’ve seen it all now!! I didn’t know they were even making waffles back then. 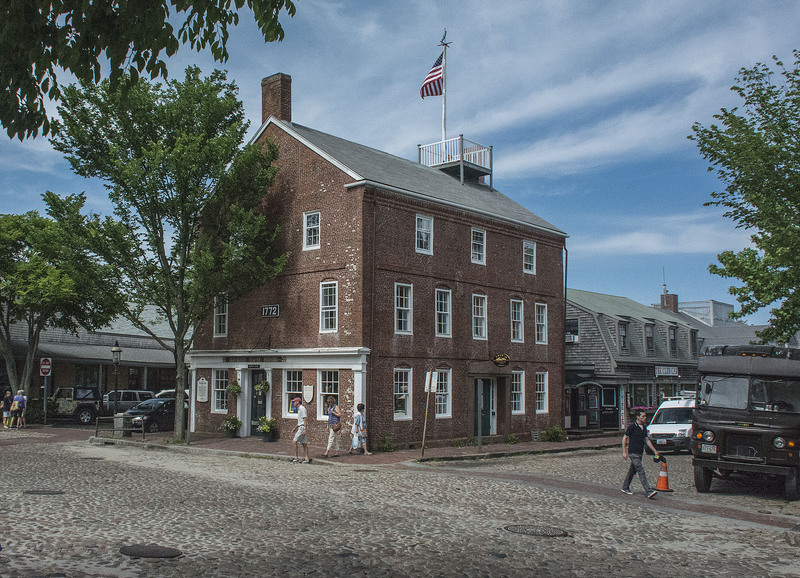 It’s still the case today as it was back in the 17th Century that because Nantucket is an island and is mainly a tourist area, that everything has to be brought over from the mainland. 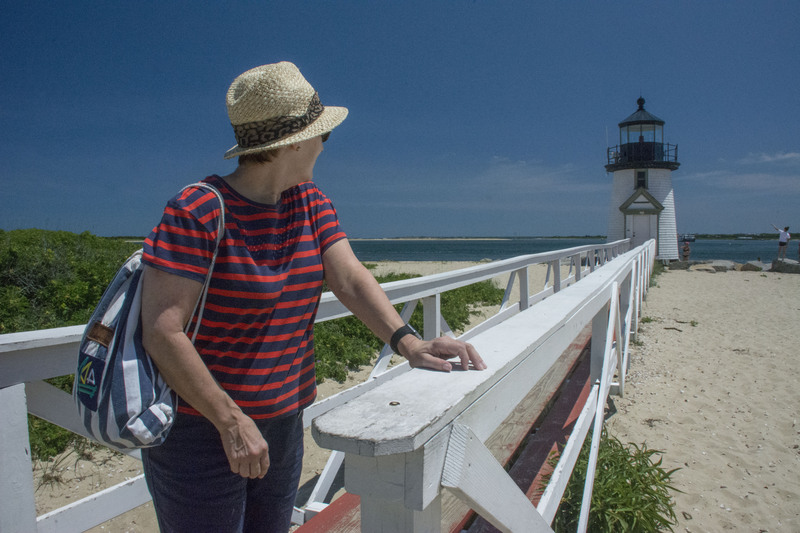 It was very hot today but that didn’t deter us from walking to Brant Point to see the lighthouse. I took the opportunity to have a paddle in the sea, the water was lovely but the photo of me doing it, not so! 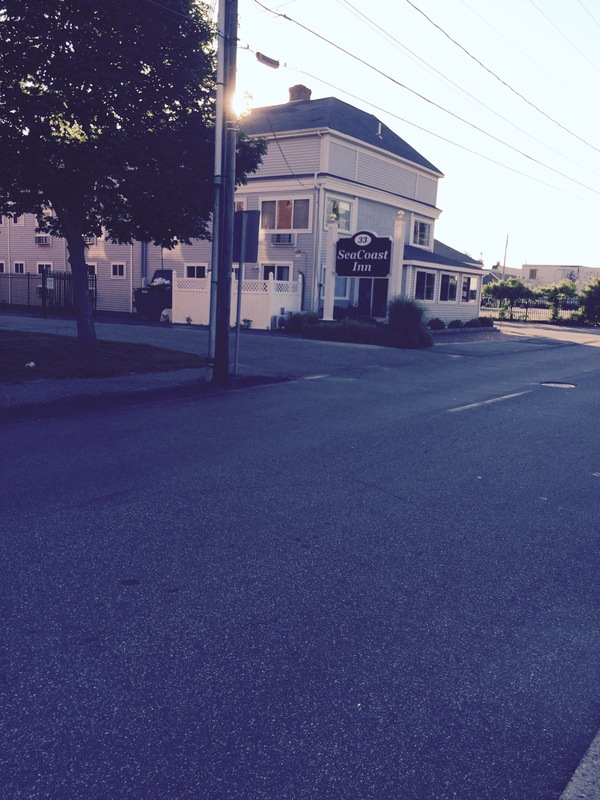 Here are some pics that we took last night on our way to Baxter’s for dinner. 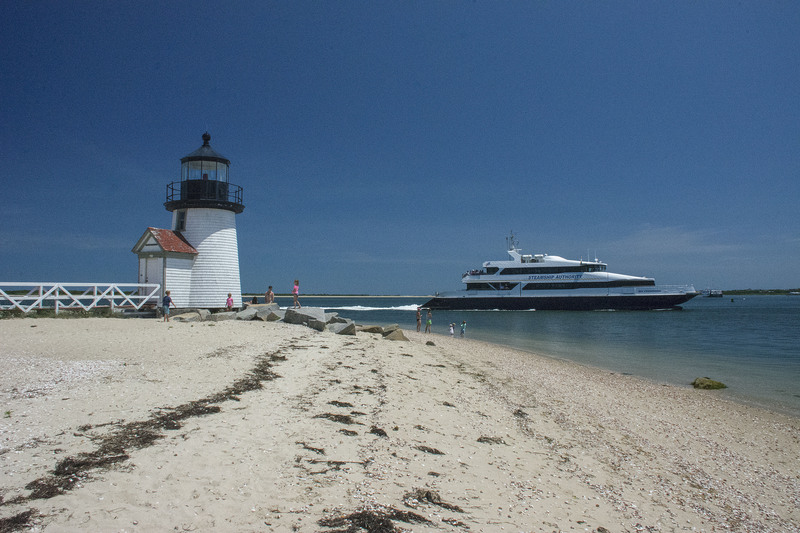 We will be exploring more of Cape Cod tomorrow, fingers crossed the weather plays its part!! What a beautiful place that looks. And you did post your Friday pic on a Friday, Simon. 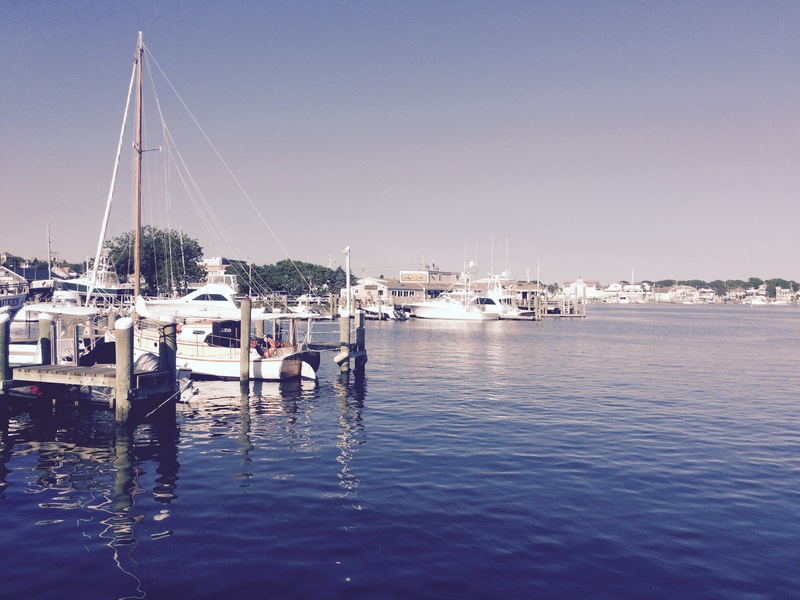 Yes, it sure is beautiful, Nantucket that is! !